There are currently 87,107 users on this website. 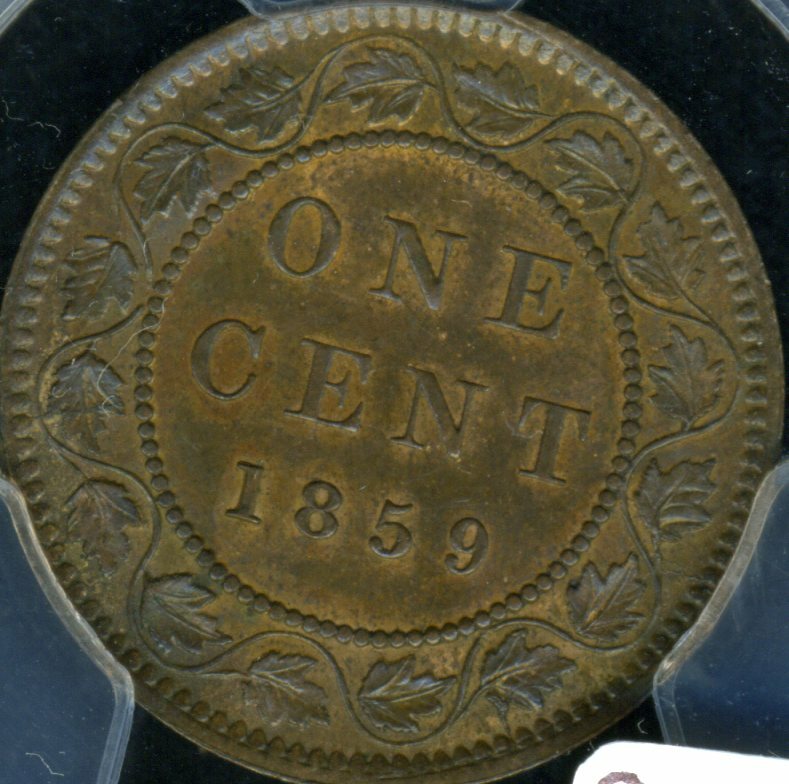 I found this 1859 on e-bay that is titled wrong as a 1859 DP9 #4. Its a very nice 1859 variation but not a #4 so buyer beware, I contacted the seller with a friendly approach explaining to him that it was not a DP9 #4. I mentioned to him that the 5 was the wrong 5 and that the die crack at leaf 7 was in the wrong place as well for a #4. His return answer to me was that varieties are not his area of collecting and that he goes by the grading company, but said he would look into it a little bit. Also said he had expert friends that are variety specialist and he will show them. I looked up that one papeldog and I believe it is a PC59-101 (10+E12) which does have a nice repunched 9 but is not nearly as hard to find as a DP9 #4. Very good to point that out so someone won't be disappointed. Do you mean eBay ID: 401733028348 ? That one is in a PCGS Gold Shield holder, so there is a possible recourse for any buyer. Has anyone ever tried to take these companies up on their guarantees? 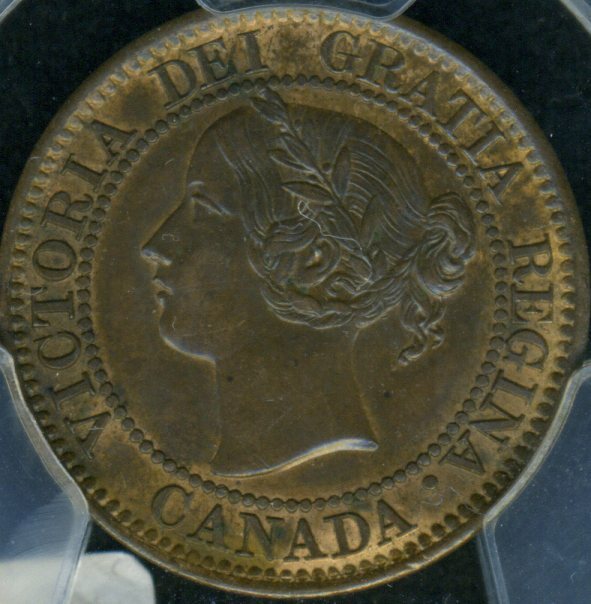 Here's the same coin same grading company but mine is graded as a 1859 DP9 #1 but I correctly labeled it a PD59-101 10 + E12 by James Haxby's site the bible for 1859's. 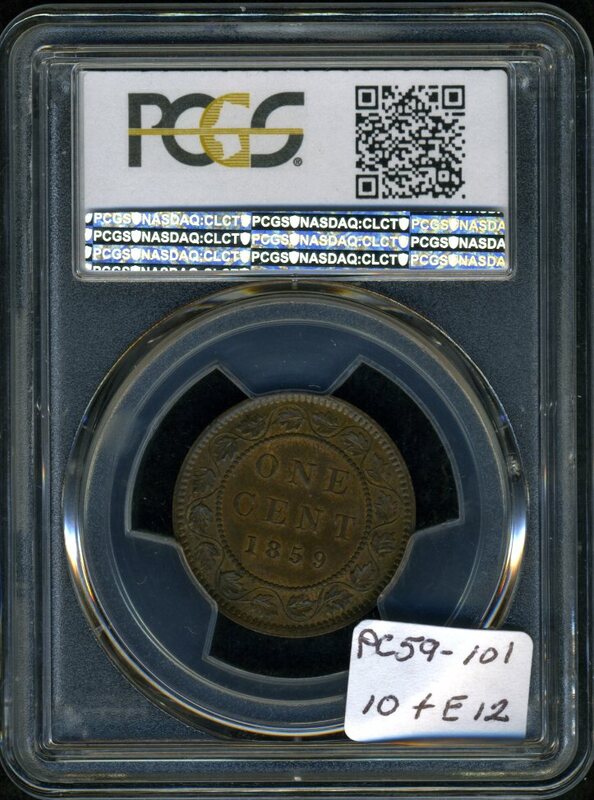 I think PCGS should use the literature and web site's provided for there research and for 1859's the Haxby site, I'm a little disappointed in PCGS as we pay big money to have coins put in the hard slabs. This one page in the Haxby catalog shows 37 different reverse dies with re-punched 9's, and with links to the pages that give all of the markers for the dies. If the grading companies would use these resources when attributing 1859's it would help them a lot. It's easy to compare with all of them shown on the same page. E25a is the die which actually is the DP9 #4. E12 is the die for the other two incorrectly listed by PCGS as DP9 #4 (the ebay listed coin)and DP9 #1 (papledog's coin). As Bill pointed out, it is also listed in the back of the 2011 Charlton, but I think it is page 283 instead of 284. You may be right, Phil, about p283 vice 284, but I didn't see the underpunch on the upper loop lower left ... I didn't think it was on the Ebay coin, but it's hard to tell. It definitely has the under punches below the tail, left and right. Last time they screwed one of mine up, I called them. They sent a Fedex shipping label to me, took the coin back, re-holdered it correctly, and mailed it back. No charge. That's great news Rob and Roger that they correct the mistakes and I will check into it and see what they will do for me being in Canada Customs and all the bull to ship coins across the boarder and back again. The coin that I posted in the post that is graded #1 is not the only one I have I sent another DP9 a while back that never even got a DP9 indication at all its the Haxby PC59 -65a4 65a + P4a it come back as a normal narrow 9 its clearly not hard to see the DP9 especially in the higher grades. They will generally only label varieties for which they have established a coin number (see their population report). If they haven't done so for a particular re-punched 9, it will normally come back as a plain narrow 9. I was speaking of when they mix up two varieties they do recognize. Your DP#1 will likely get corrected into a narrow 9 holder. 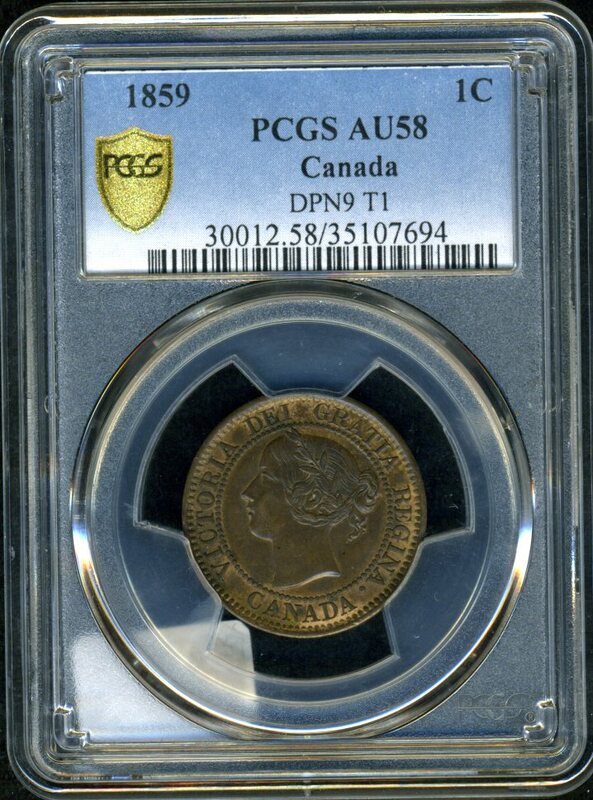 Yes, the Canadian 1859 large cents and varieties are many, but the information is readily available to them on line with the 1859 Haxby site to see all the different DP9's and the markers for them. As well as some other issues on Obverse varieties they don't bother to identify them either and Rob you have provided them literature and great pictures in your books and writings. Charlton Coin Books show all Obverse varieties and the years they had more than 1 obverse as well as some other varieties they could start using if they don't already. This is what I have a hard time with they have the info readily available to get things correct on the slabs. I do also realise we as Canadians are a small market to them and maybe a bother to them but to keep going the way they are headed isn't going to gain any good reputation for the Company or as a go to grading Company. I sent the seller an email, telling him what it was and that PCGS should recert it. Let's set the facts straight here. Good morning, This is a very nice coin you are selling but it is not a DP9 #4 the DP #4 has an extra DP5 on the front top of the 5 this coin is missing that 5 as well as the die crack at leaf 7 is in the wrong place. But still a very nice coin. Varieties are not my area of specialty, so I generally defer to the grading companies on these. I'll look into it a bit, and I'll show it to a couple of people I know who are variety specialists. Our office is closed Saturday and Sunday. Monday we're doing our shipping, and apparently, the OP felt the need to start this thread, falsely claiming I was contacted 3 or 4 days ago. For a bit of added information, our reference library is at our office, so there was no way I could even begin to research it until today. Then, at around 2 pm, we start getting calls to our office from a Canadian phone number, with some lunatic calling me every name in the book and telling me I sell fake varieties and I was trying to scam his friend on a $2000 coin. This continued to the point we had to unplug the phone this afternoon. Later today, we got another eBay message where the member sent a clear explanation of grading mistake, with a specific reference to his credentials and a referral to the 2011 Charlton, which we have in our library, which gave us the information we needed to pull the coin. He also mentioned that this was being discussed on coin sites, which is where I put the 2 and 2 together of the lunatic calling up the office all afternoon and costing us several hours of time. I certainly do not appreciate this 'vigilante' mob mentality on a piece that appears to have been misidentified by PCGS. I deal in world coins full time for a living, and I take the reputation of my business and myself very seriously. I freely admit I am not a variety expert, but in general, I take the judgement of a company like PCGS over some random person over the internet who decides to send a message and tell me to examine the die cracks. We do quite a high volume of eBay sales, and I can not tell you how many messages we receive from people who are flat out wrong on basic numismatic facts. But certainly, papeldog, wouldn't want to let the facts get in the way of good story, right?